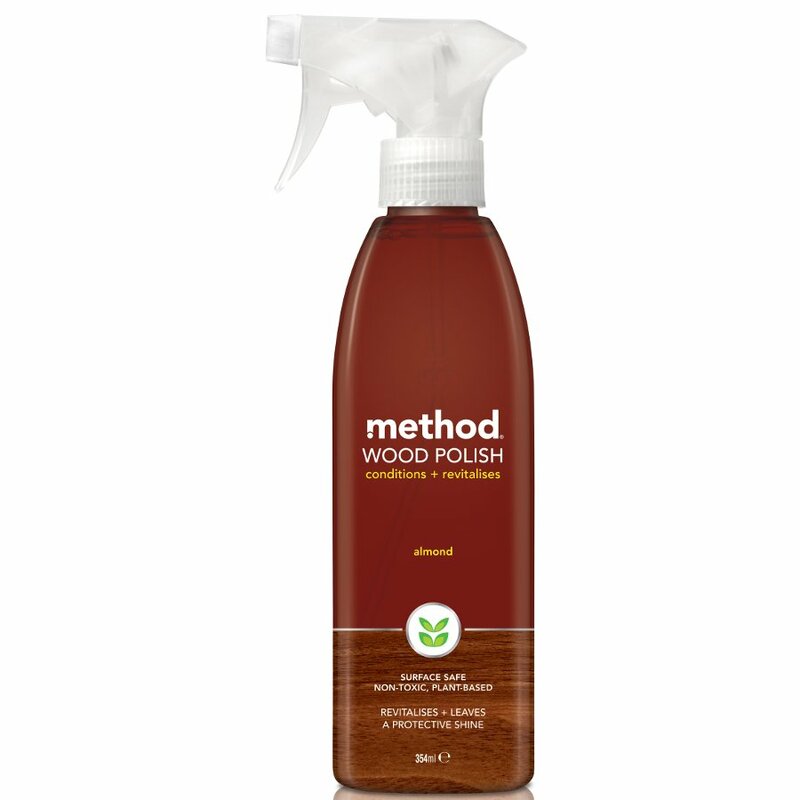 With Method's no-wax formula you can clean and buff your wood back to its natural beauty - without leaving residue or build-up. Recyclable plastic bottle. Naturally-derived formula is a gentle cleansing conditioner that removes smudges and dirt. A blend of glycerine and olive oil derivative ingredients are natural and moisturising. This spray is NOT suitable for waxed furniture. Natural non-toxic glycerine and oleic acid are the secret agents that keep wood so fresh and so clean. There are currently no questions to display about Method Wood Polish Spray.